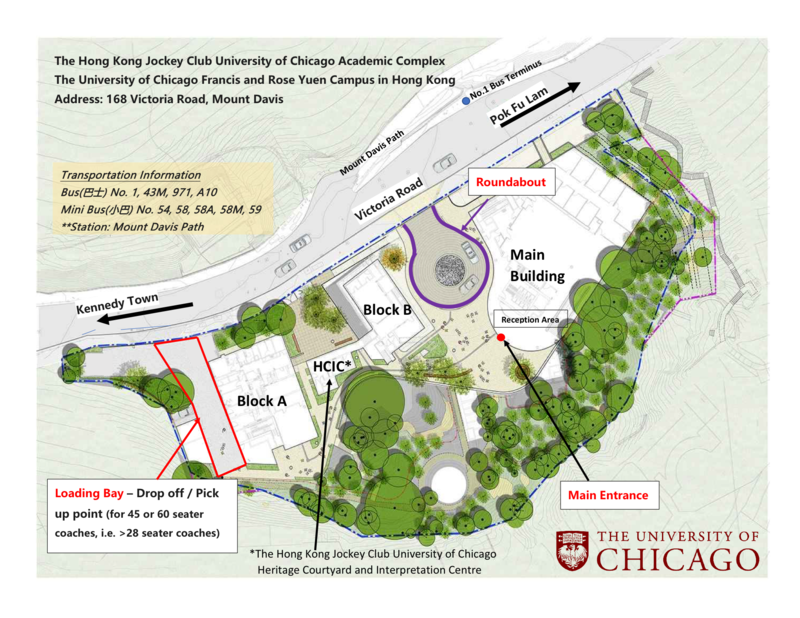 The campus is built on the historically important site at Mount Davis, which includes The Hong Kong Jockey Club University of Chicago Heritage Campus housing The Hong Kong Jockey Club University of Chicago Heritage Courtyard and Interpretation Centre. It will present permanent and rotating exhibits highlighting the history of the site to the public. 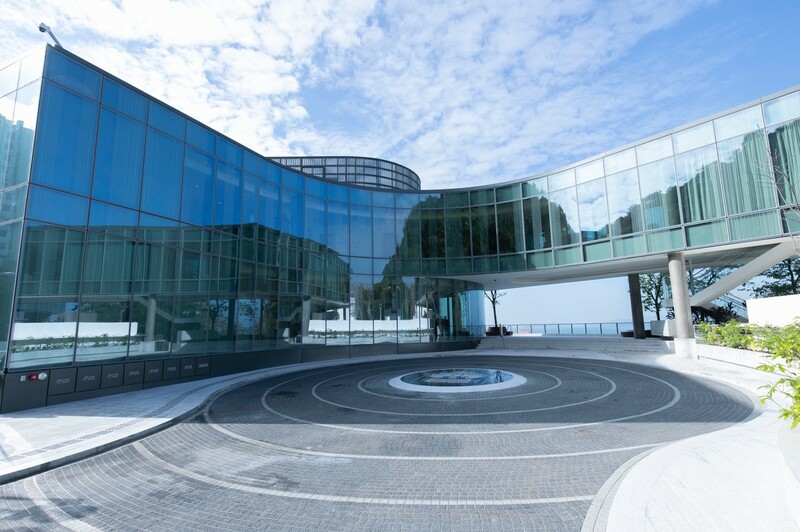 The Hong Kong campus joins the University’s Centers in London, Delhi, Beijing, and Paris in facilitating academic collaborations and partnerships all over the globe. The University also has presence in Luxor, Egypt, as well as medical and research facilities in Dhaka and Bangladesh, with global engagement that extends to hundreds of programs and initiatives in more than 40 countries and on all seven continents. *** There is no parking space on campus. Please commute by public transportation as indicated above. *** For GRC participants who are staying at Regal Riverside Hotel, a shuttle will be arranged from hotel to the campus. Details to follow.